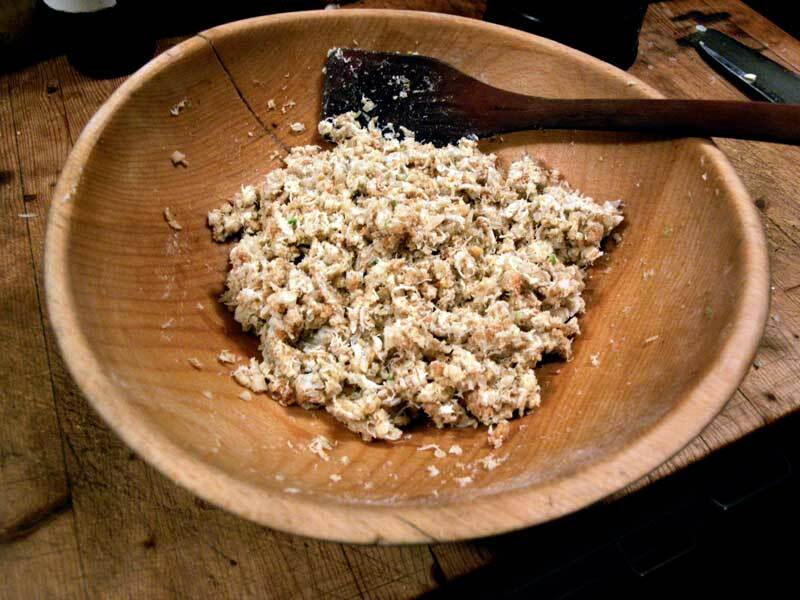 Tear bread into small pieces into a bowl with crab and diced onion. 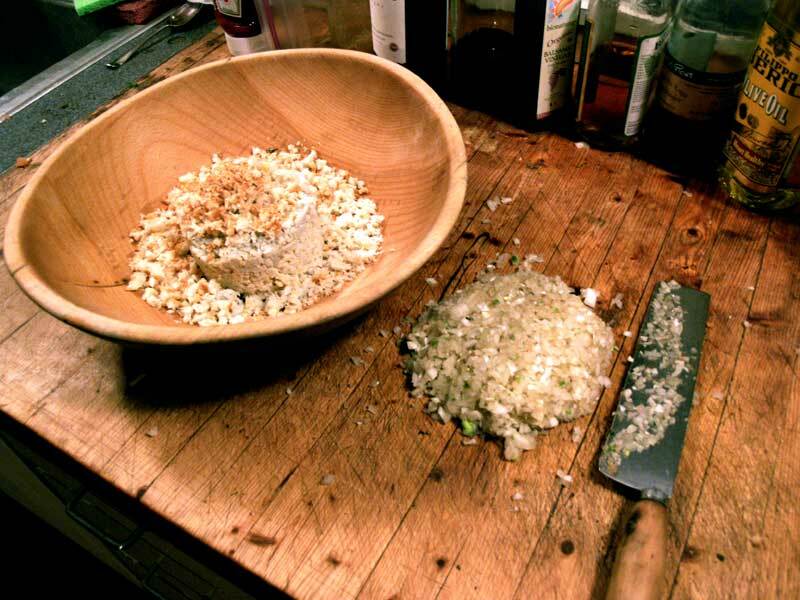 Add teaspoon HOT sauce, Worcestershire sauce, entire egg, and a pinch of corn meal. (about 3 inches in diameter and 1 inch thick). 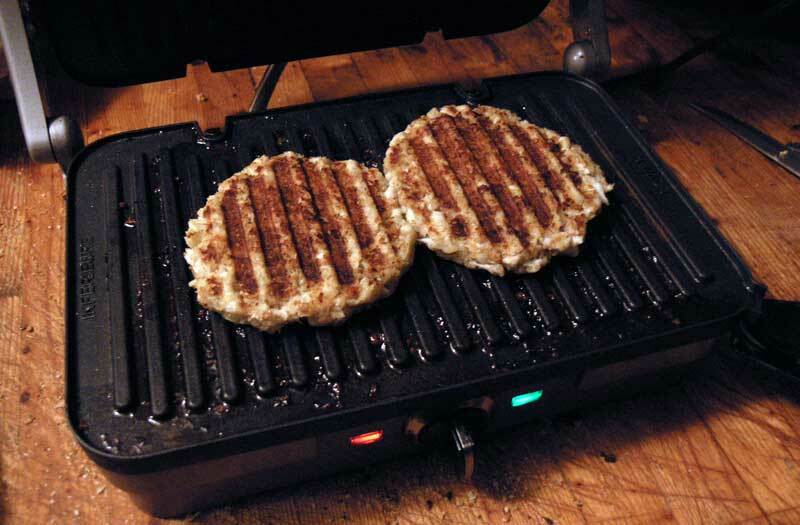 place patties on panini-maker and close top about 10 minutes total.